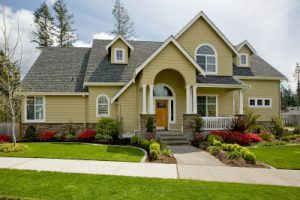 If you love your house in North Garland, Texas, but could use some extra space to spread out in, why not invest in a home addition? The skilled professionals at Star Home Remodeling can design and build a room addition for you that will help you enjoy your home even more than you do now. While we can create a variety of additions, some of the popular extensions we build include master suites, living rooms, garages, home offices, extra bedrooms, and in-law suites. Partnering with Star Home Remodeling for your home addition means working with a full-service, experienced company that can execute all aspects of your renovation. From creating a stunning design to handling the construction, we do it all. What’s more, we’ll take the time needed during the design process to ensure you know all about the wide array of products and services you can choose from. When we design and build your room addition, we can incorporate custom products and features to create your dream home. For example, if you have always wanted a master suite that includes a custom-made fireplace, we can make that vision a reality. We also have the skills to build full kitchens and bathrooms, which will come in handy in the event you want an in-law suite or similar extension added to your home. For more information about the stunning home addition we can build for your North Garland residence, contact Star Home Remodeling today. When you do, we can answer any questions you have and speak with you about our work that has earned us a number of accolades throughout the years, including multiple Best of Houzz awards.